Knit something in an Outlander Inspired pattern (such as our Outlander-inspired project kits), or with an Outlander yarn (click here for more details on what yarns and projects qualify). You can do either the yarn or the pattern, or both for the KAL entry. There can be more than one KAL entry, and you can double and triple dip into other KALs for the duration of this KAL. You must be a member of the Subway Knits group to participate. To share your knits on social media, the hashtag is #outlandeRKAL - be sure to also use #bijoubasinranch if you are knitting with our Outlandish yarns! Entries must be made in the thread, where a winner at the end of the KAL will receive a Grand Prize via RNG. The final deadline will be announced once we find out the premiere date (April/May 2016 is the estimate). Our final fiber show for 2015 is this coming weekend: the Southeastern Animal Fiber Fair in Fletcher, NC (October 30th through November 1st, 2015)! We'll be bringing all of your favorite luxury yarns and project kits, plus we'll also have plenty of Allure Fiber Wash to keep your finished projects looking their best this fall. 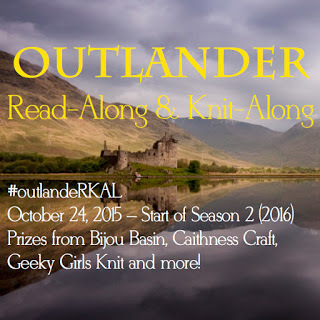 If you plan on participating in the Droughtlander KAL mentioned above, we'll have all of the Outlandish yarns and project kits on hand for you to check out, too! Since SAFF falls over Halloween weekend, we have a few tricks up our sleeve...but don't worry, they're all treats! 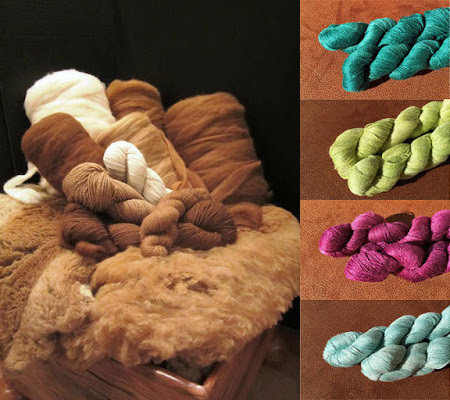 Stop by our booth to ask about our show special on 100% Paco-Vicuna yarns, fibers and rovings (above left). 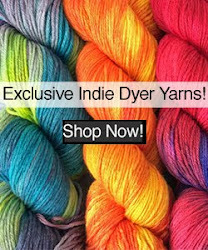 We have a limited quantity of these ultra-luxurious fibers - click here to learn more on the BBR blog! We'll also have four new colorways of our yak and silk laceweight yarn, Shangri-La (above right), which are hand dyed for us by Lost City Knits, along with our 7 new colorways of Lhasa Wilderness yarn (below) which are dyed for us by Lattes & Llamas. Speaking of Lhasa Wilderness yarn, this is the last call for our giveaway that's happening this month! 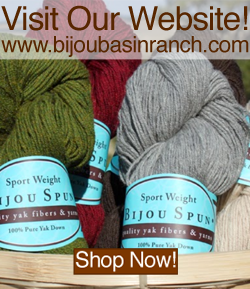 Click here to find out how you can win 7 skeins of our popular yak and bamboo blend yarn (Lhasa Wilderness) in the color(s) of your choosing! We'll be announcing the winner on Friday, October 30 - good luck!